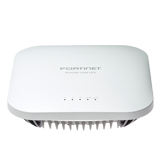 Atom AP30 revolutionizes the Access Point form factor and deployment model by leveraging power sockets for powering the access point and a choice of ethernet or mesh technology for data backhaul. The simple and intuitive design coupled with pain-free installation and zero touch setup makes Atom AP30 the ideal choice for a variety of use cases. Atom AP30 is powered by IEEE 802.11ac technology for client connectivity and backhaul with the added benet of an Ethernet port, which can be used to provide IP connectivity to neighboring wired devices and BLE for IoT applications. Atom AP30 can be deployed as a complete access solution or in combiniation with Aerohive’s extensive Wi-Fi portfolio for high density networks. Plug Wi-Fi Dead Zones – Atom AP30 instantly extends coverage and capacity to challenging areas or connectivity blind spots. Atom can be temporarily installed if additional coverage is required for only a period of time, and re-organized if building layouts change without costly re-cabling or installation. Reduce Network Cabling and Installation Costs – For organizations with a wealth of spare power and data outlets, Atom AP30 makes it easy to re-use existing infrastructure for lower cost and simplified rollouts. 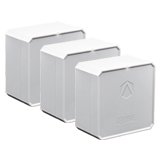 Bridge IoT Devices – Acting as a hub, Atom AP30 makes it simple and secure to connect Wi-Fi and Ethernet-based IoT devices and sensors. Extend Corporate Connectivity for Teleworkers – Equipped with a L2 VPN client, Atom AP30 can easily extend connectivity for remote workers on the go or at home. 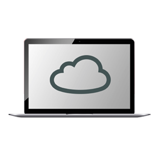 Connect Temporary Locations or Kiosks – Temporary areas, events, or kiosks can gain network access with minimal effort.